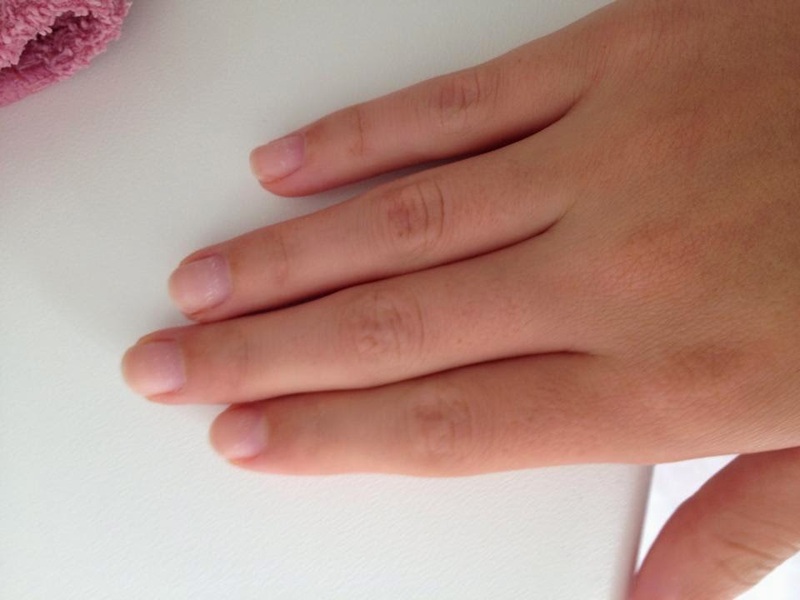 My Story: How to remove nail polish without remover? We all know the problem, you're in a different place then home and you're nails look awful but you don't have a nail polish remover with you.. I found a few things that can help if you're on a trip and you don't have a remover with you! The first thing I think that really works is just scratch it off from your nails with your other nail. 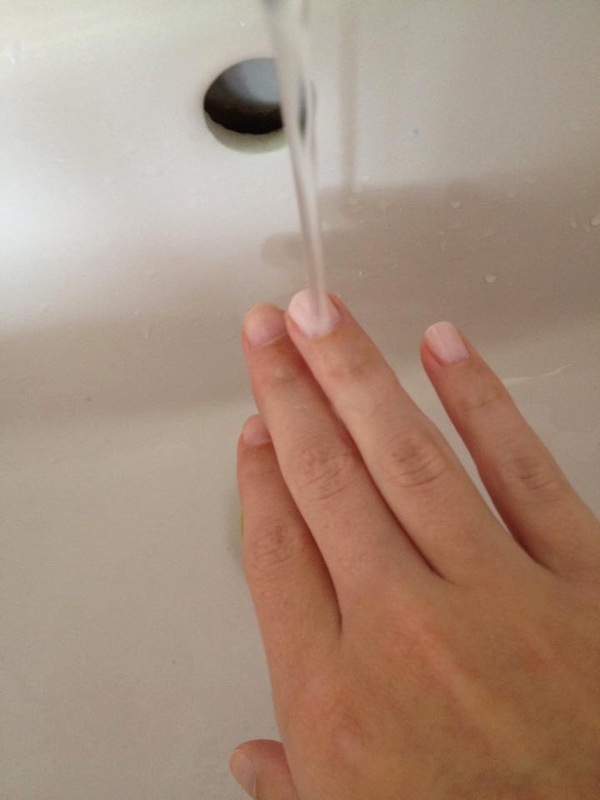 The first thing I like to do so it's a little bit easier is just hold your nails under warm water, during this whole scratching off you need to hold your nails under warm water the whole time. 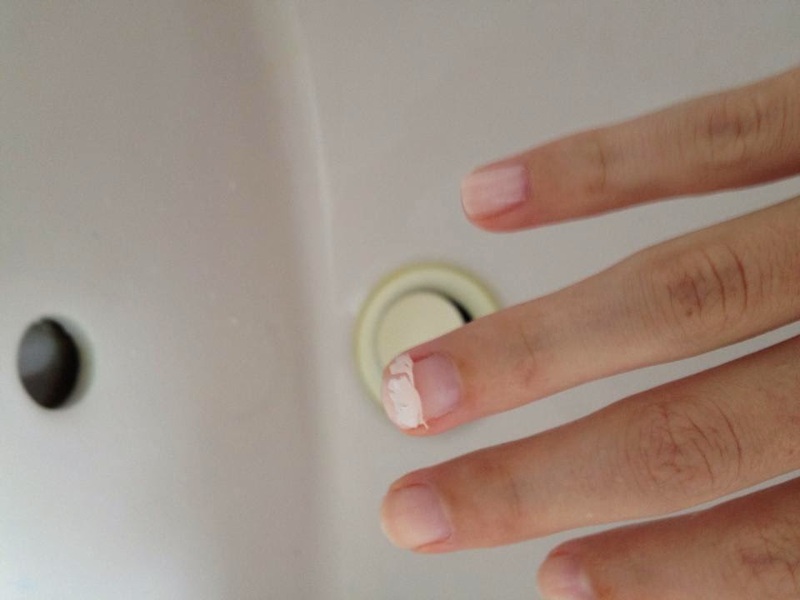 Then you just scratch it of to almost the end of your nails and it looks like this. Now you can just take the whole nail polish off and your nail polish is removed. You also have some other methods to remove your nail polish without remover. You can spray deodorant, hair spray, perfume or body spray over your nails and then remove it with a cotton. I think it's a lot easier with the previous method I told you but if you don't want to do that you can also do it with these things. With the last method you need to have a top coat nail polish. You then polish your first nail with your top coat and then you wipe it off with a cotton when it's still wet. You repeat this with every nail and you need to polish your nails with the top coat a few times for the nail polish is removed! I hope you guys enjoyed reading this and that I helped you to remove your nail polish without remover.